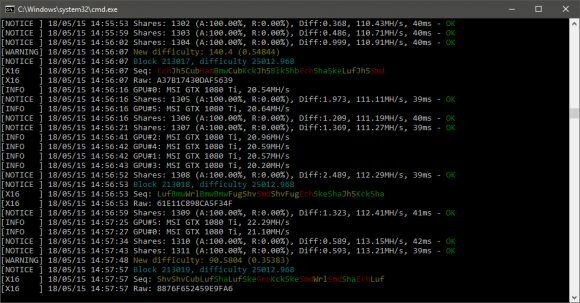 The z-enemy miner was originally only X16R Nvidia GPU miner, then X16S support was added, but it seems that the future development will not only focus on those two algorithms alone as with each new version we are seeing not only performance improvements and bug fixes, but also new algorithms getting supported. The latest version 1.09 adds support for Xevan and Vitality in the a release as well as Tribus in the more recent b update along with up to about 10% performance increase due to optimizations. There are also some bug fixes and performance improvements that are targeted at improving stability and usability of the miner, do note that since z-enemy-1.09a release the miner also has support for failover pools (just add multiple instances of pool, user and password in the command line). The more recent z-enemy-1.09b release is more of a service release and is currently only available for Windows, while z-enemy-1.09a is also available in the form of Linux binaries. We prefer to use the z-enemy miner for mining RavenCoin (RVN) even though there are many alternatives already available out there, though the miner will apparently evolve in a more usable and functional alternative to other more established miners out there as it adds support for more algorithms. We remind you that z-enemy is a closed source miner available only as a binary release and it contains a 1% developer fee built-in to support further software development. 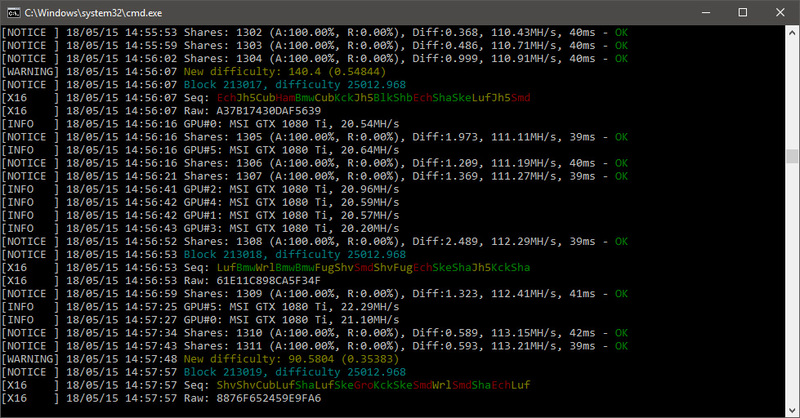 On a side note is seems that we now also have SP back in the game with open source miners with his optimized suprminer fork for X16R and X16S, so you might want to give it a go as well, though it does not seem to be faster than the latest z-enemy miner.